VdB 86 is a reflection nebula in the constellation of Monoceros. It is located in the southern part of the constellation, about 2 ° NNE of θ Canis Majoris and 2 ° towards the west of the Seagull Nebula, a large region of star formation at the border of the Unicorn and Canis Major. 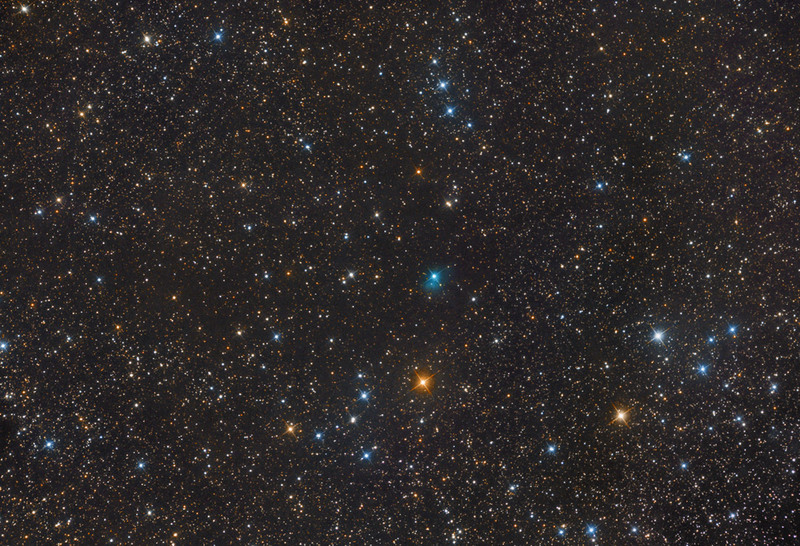 The star responsible for the markedly bluish lighting and color of the cloud is known as HD 51479, a blue star of spectral class O7V, whose distance, obtained by measuring the parallax of 0.61 mas, is about 1639 parsecs ( 5344 light-years). However, the measurements of the parallax reported in most cases a large measurement error, up to 1.22 mas. Therefore, the obtainable distance value is also uncertain. The cloud, although apparently near the Seagull Nebula, would be in fact much farther away, since the estimates of the distance of this nebula indicate a value of about 990 parsecs.